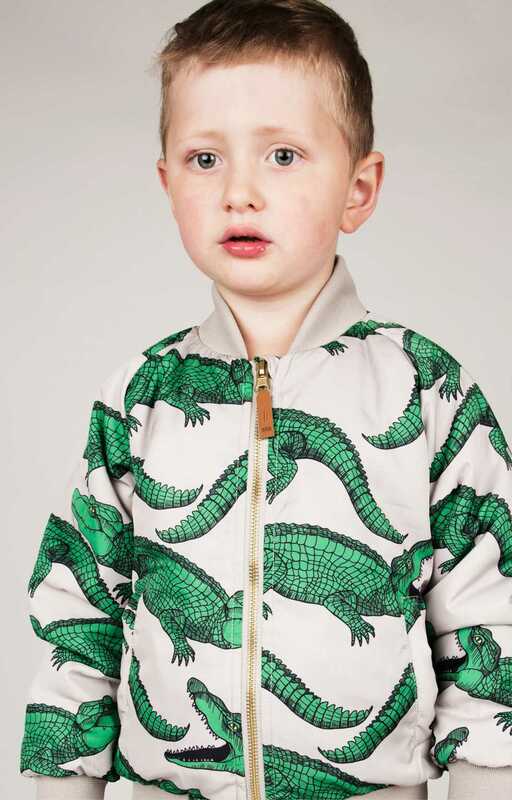 If you and your kids crave wildly colorful and creative wares, chances are, you’re already a Mini Rodini fan. For those of you who have never heard of the brand before, you’re in luck! 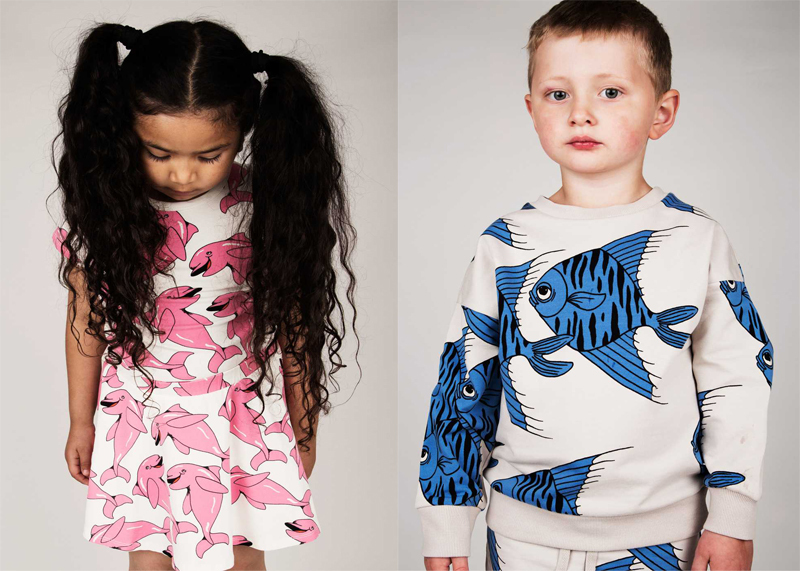 Founded in Sweden in 2006, Mini Rodini is the brainchild of mother of two Cassandra Rhodin, and was created as a tribute to children and the essence of their playful, fun creativity. 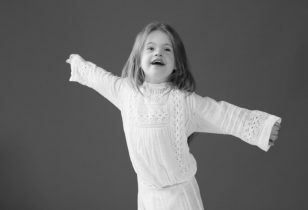 As an illustrator, Rhodin sought to create a brand that speaks directly to the personalities of kids, and this is exactly what she achieved. 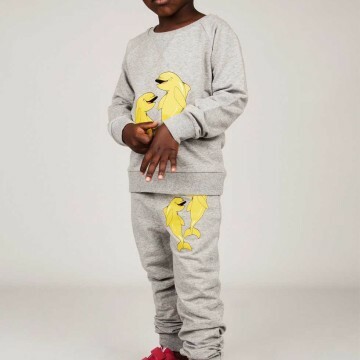 When Mini Rodini first launched, it quickly sold out in the few Stockholm stores that carried it. 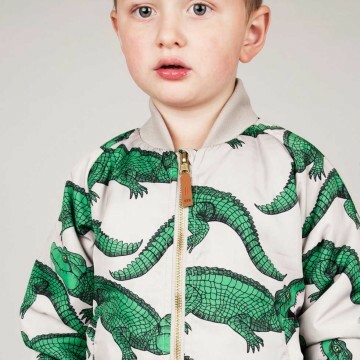 Thankfully, today it’s sold all over the world, so chances are higher that you can score the standout, made-ya-look pieces for your own littles. 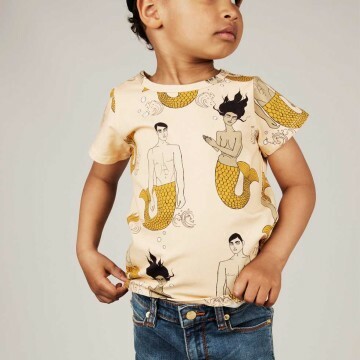 Drawing its moniker from the stage name of Rhodin’s circus-traveling great grandfather (Gypsy prince Carooli Rodini), Mini Rodini also draws creative inspiration from the designer’s two sons, offering captivating. 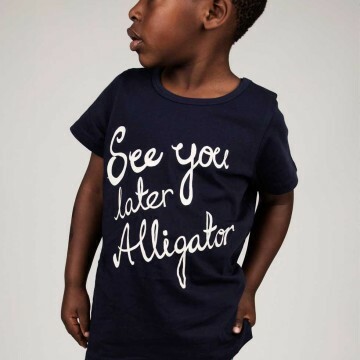 quirky, and sophisticated designs that are tremendously adorable. 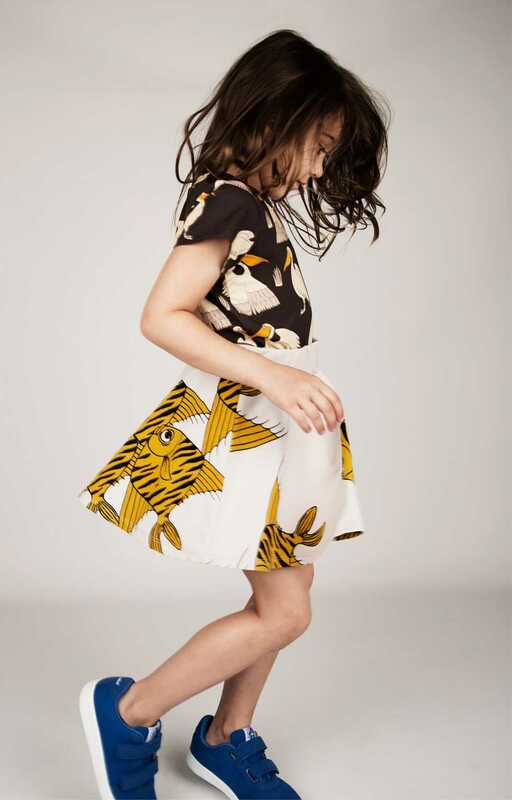 Think oversized animal prints and graphics in vivid hues and modern, comfy shapes. 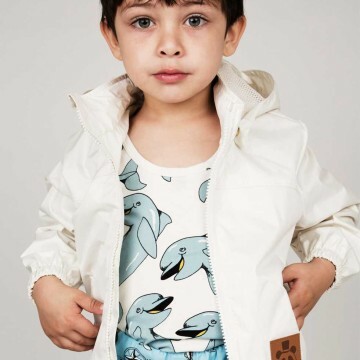 Bonus: The brand maintains an ethical and sustainable commitment to the environment, consumers, and its employees, making it a brand that is all-around lovable. 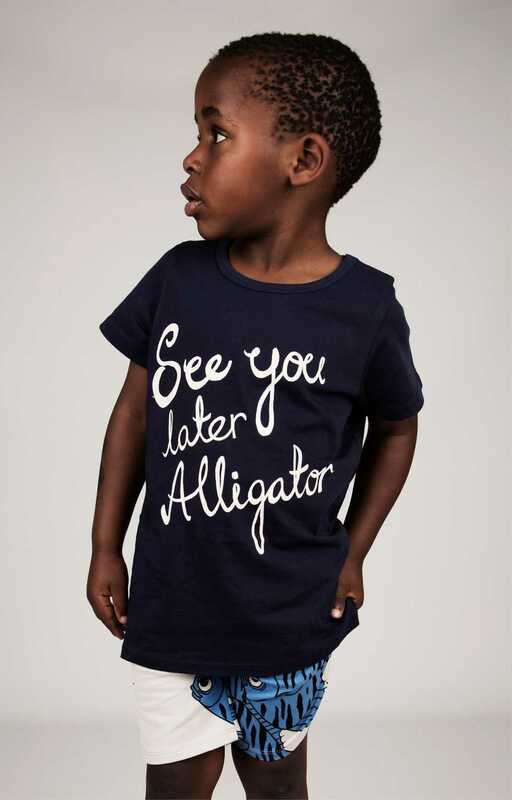 The playfully titled Spring/Summer ’15 collection, See You Later Alligator, “is inspired by the fishy life under the aquatic surface,” Rhodin tells us. 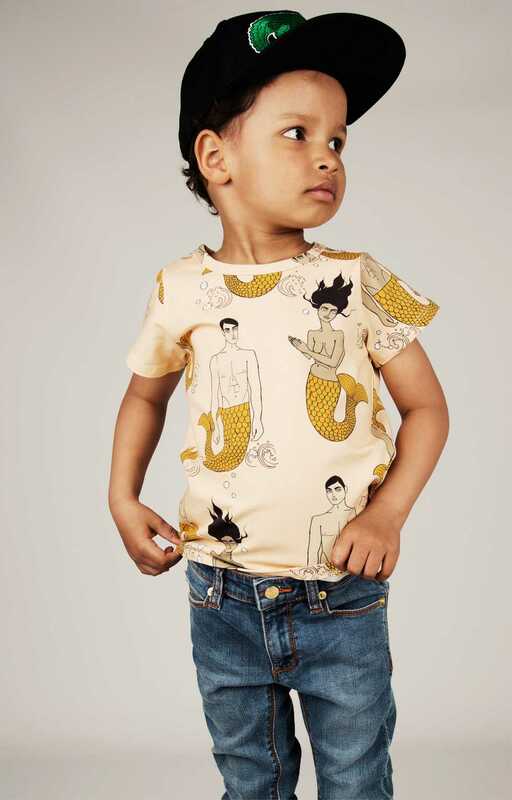 Featuring designs of “mermaids, mermans, whales, dolphins, sea birds, and crocodiles,” these aquamarine prints will certainly make you do a double-take. Staying true to eco-centered sustainability, the collection showcases textiles made from recycled PET bottles and other plastic waste. Peep the slideshow below to fall in love. 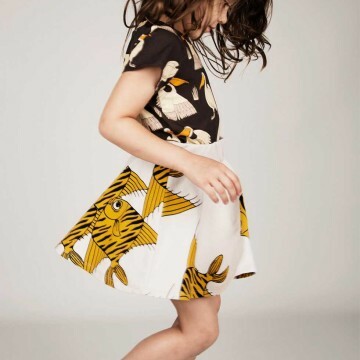 And also note that the brand, which is turning the big 1-0 next year, will be expanding with a highly coveted home collection “made from scraps and leftovers from previous collections,” so your kids’ spaces can be just as amazing as their Mini Rodini wares. 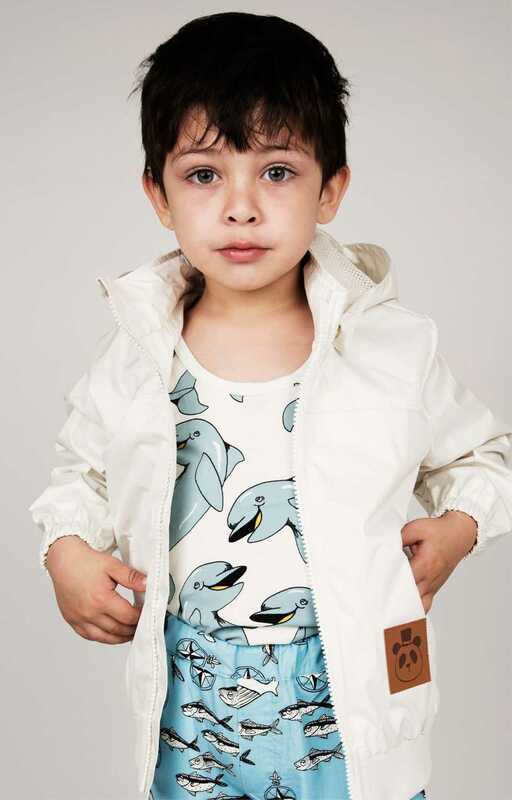 In the meantime, be sure to visit Mini Rodini to load up on more than a few eye-catching goodies!